We can count occurrences for the number of times a particular value (number, text, date, etc.) 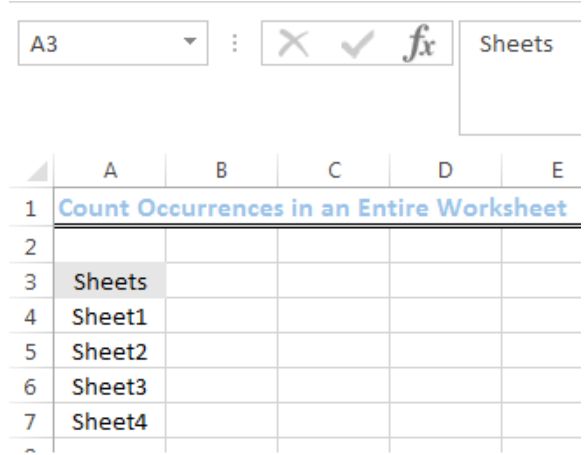 occurs across several worksheets in an excel workbook. 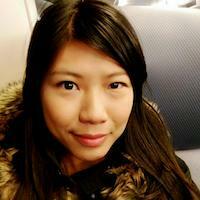 We can do this by applying the COUNTIF, INDIRECT and SUMPRODUCT functions. We will walk through counting all occurrences in a workbook. We will name Cell C3 on the PRIMARY SHEET as Count Value. We will then type or copy and paste the formula into Cell C4. After we have done this, we will press ENTER on the keyboard. 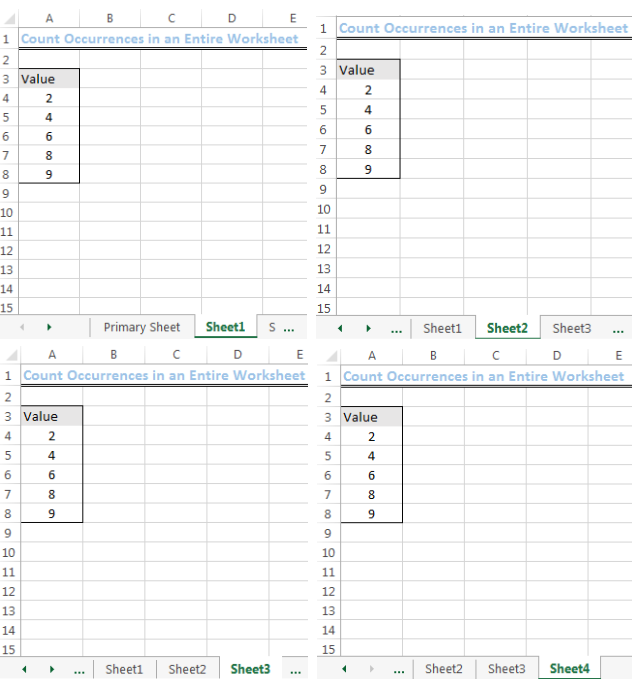 The INDIRECT function refers the ranges in the four sheets and the COUNTIF function counts the number of times the value in those ranges match the count value, which is 2. 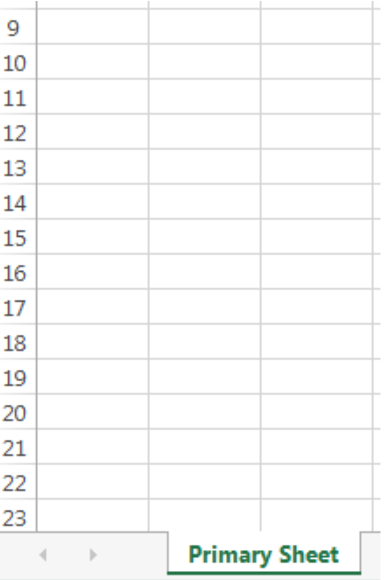 The SUMPRODUCT function then sums the returned count values from each sheet. 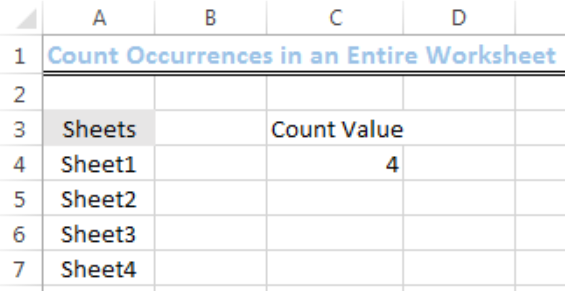 I need to add an image as a header in excel to the entire workbook. 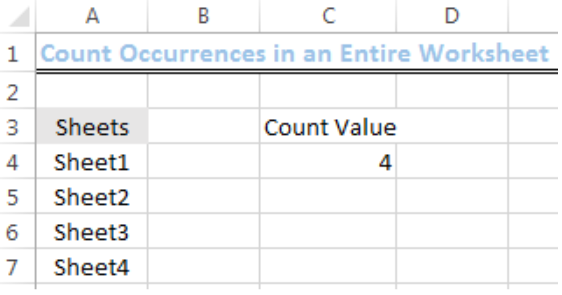 How can I use the COUNTIF formula to count a range of numbers as single occurrences? I have a sheet with the hours that people took sick throughout the year but I want a formula for counting the amount of occurrences of sick. I can count the hours sick and the total days but cant count the occurrences. How can I count the a period of sick over a number of columns as 1 occurrence please?